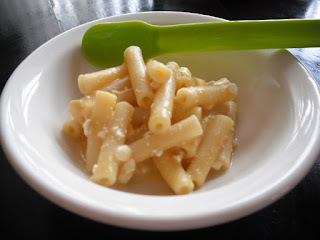 You can make this as wholesome as you would like with whole grains and all organic ingredients. 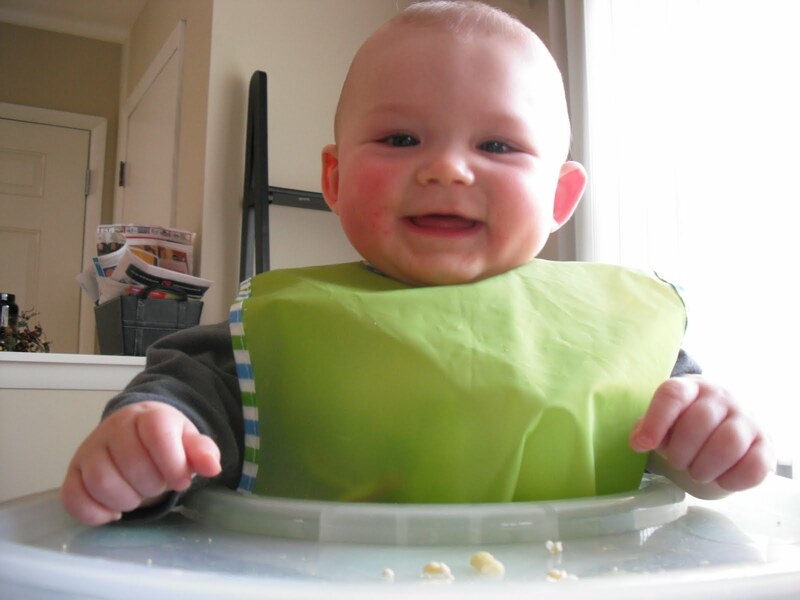 The pediatrician says that at 8 months it will be time to start trying table foods like pasta. 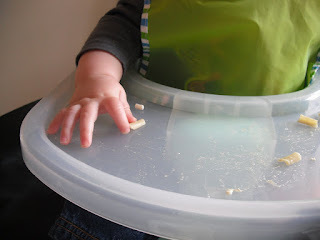 Missing the whole 'finger foods' point. 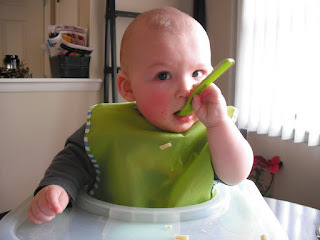 So cute, and love that he is using or trying to use a spoon!